Today we received, via our web hosting friend who has hosted our site for many years an email from Paul Herron, who has let us know that a photo we have up on the site was done by Jill Krementz and has asked that we put the appropriate copyright words under the photo. Until our web maintence master for our site can post the appropriate correction, we wish to note it on this blog. Below is the email and the gracious permission that Ms. Krementz has granted the site despite our inappropriate use of her photo. First of all I want to wish you a happy new year. 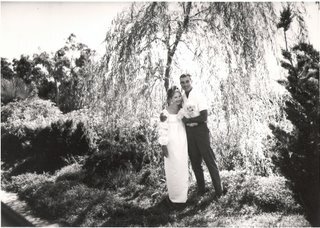 Rupert Pole gave the site a manila folder, filled with photos of Anaïs, labeled Internet This photo is taken of the two of them on the edge of their pool, beside the willow in their home in Silverlake. You can read about this storied home in a 1984 copy of Architectural Record that has a beautiful spread of photos as well as an article by Barbara Kraft,on the history of Anaïs’s House of Light. After Rupert’s death this summer, Janet Eastman, Lifestyle editor of the LA Times, did a story on the home that Rupert built for Anaïs by Eric Lloyd Wright grandson of architect Frank Lloyd Wright. Eric Lloyd Wright helped with the story of his half brother, Rupert. Eric is the grandson of Frank Lloyd Wright. His father, also an architect, was Frank Lloyd Wright Jr. who was known as Lloyd.